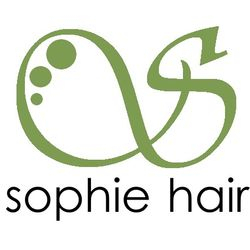 Sophie Naturals are all about making you look your best with the most natural elements available. 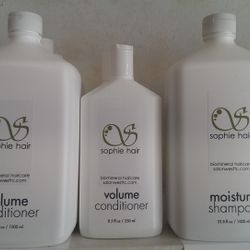 Made of pure plant essences and yummy essential oils, Sophie Naturals are our own salon line of natural hair care and cosmetics. 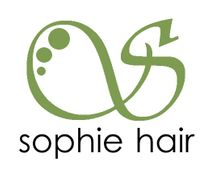 In our Sophiie Skin care line, we use only pure essential oils and butters : no synthetic fragrances, colorants, they are pure and lousious. This allows you to experience the full benefits of herbal extracts and essential oils necessary for relaxing aromatherapy. 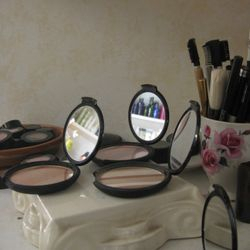 What you put on your skin is absorbed into your body and you have a choice as to what you use. 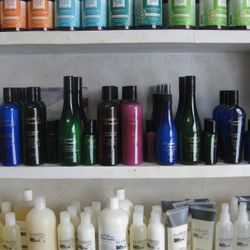 Our salon products are good for your skin and good for your soul. 100% Guaranteed and very affordable. An amazing cleanser for all skin types. Ingredients: Purified Water (Aqua), Glycerine, Stearic Acid, Glycine Soja (Soybean) Oil, Simmondsia Chinensis (Jojoba) Seed Oil, Cetyl Palmitate, Cetearyl Alcohol, Calendula (Calendula Officinalis) Oil, Butyrospermum Parkii (Shea Butter) Fruit, Sorbitol, Water, Hydrated Silica, PEG 12, Ammonium Lauryl Sulfate, Peppermint Oil, Cellulose Gum, Tetrasodium Pyrophosphate, Sodium Saccharin, Cocamidopropyl Betaine, Titanium Dioxide, Polysorbate 60, Glyceryl Stearate, Cetyl Alcohol, Dimethicone, Phenoxyethanol, Ethylhexylglycerin made with calendula, peppermint oil, and silica. Cleanser best suited for aging and fine lined skin. Ingredients: Purified Water (Aqua), Glycerine, Stearic Acid, Glycine Soja (Soybean) Oil, Simmondsia Chinensis (Jojoba) Seed Oil, French Green Clay, Purified Water, Rich Coconut Cleansing Complex (Ammonium Lauryl Sulfate), CDE and Cocamidopropyl Betaine); Hawaiian Awapuhi extract, (Lavender angustifolia), Lavendin (Lavendula burnati), Sweet Orange(1) (Citrus Senensis), Geranium (Pelagonium graveleons), Cedarwood(1) (Juniperus virginiana), Spanish Marjoram (Thymus mastichina), Frankincense (Boswellia carterii); Panthenol, Vitamin E, Sodium Chloride, Cetyl Palmitate, Cetearyl Alcohol, Calendula (Calendula Officinalis) Oil, Butyrospermum Parkii (Shea Butter) Fruit, Polysorbate 60, Glyceryl Stearate, Cetyl Alcohol, Dimethicone, Phenoxyethanol, Ethylhexylglycerin. A cleanser best suited for problem skin like acne. Ingredients: Purified Water, Rich Coconut Cleansing Complex (Ammonium Lauryl Sulfate, Ammonium Laureth Sulfate, CDE and Cocamidopropyl Betaine); Hawaiian Awapuhi extract, French Green Clay, Pure Therapeutic Grade Essential Oil Blend: Rosemary (Rosmarinus officinalis), Peppermint (Mentha piperata), Spearmint (Mentha cardiaca), Cedarwood(1) (Juniperus virgiana), Juniper Berry (Juniperus communis), Clary Sage (Salvia sclarea), Bay Laurel (Laurus nobilis), Sage (Salvia officinalis), Lemon Myrtle(1) (Backhousia citriodora), and Vetiver (Vetiveria zizanioides), Panthenol, Vitamin E, Sodium Chloride, Phenoxyethanoland Ethylhexylglycerin. For an added layer of moisture both day and night. To be used in tandem with your daily moisturizer. Ingredients: Purified Deionized Water (Aqua), Glycerine, Stearic Acid, Glycine Soja (Soybean) Oil, Simmondsia Chinensis (Jojoba) Seed Oil, Vegetable Glycerin, Cetyl Palmitate, Cetearyl Alcohol, Lavender (Lavender Angustifolia), Calendula (Calendula Officinalis) Oil, Chamomile (Anthemis nobilis), Butyrospermum Parkii (Shea Butter) Fruit, Polysorbate 60, GlycerylStearate, Cetyl Alcohol, Dimethicone, Phenoxyethanol, Ethylhexylglycerin. An amazing daily moisturizer with both soothing and repairing qualities. Ingredients: Aloe barbadensis (Aloe) Juice, Rosa damascena (Rose) Distillate, Purified Water (Aqua), Glycerine, Stearic Acid, Glycine Soja (Soybean) Oil, Simmondsia Chinensis (Jojoba) Seed Oil Butyrospermunparkii (Shea) Butter, Emulsifying Wax NF, Kosher Vegetable Glycerin, Hamamelis virginiana (Witch Hazel), Theobroma cacao (Natural Cocoa) Butter, Tocopherol (Vitamin E), Phenoxyethanol, Mangifera indica (Mango) Butter, Citrus sinensis (Sweet Orange) Essential Oil, Xanthan Gum (Polysaccharide Gum), Lavandula officinalis (Lavender) Essential Oil, Sage (Savlia officinalis), Mannan, Cetyl Palmitate, Cetearyl Alcohol, Calendula (Calendula Officinalis) Oil, Fruit Palm Stearic Acid, Salix nigra (Organic Black Willow Bark) Extract, Rosmarinus officinalis (Rosemary) Oleoresin,Polysorbate 60, Glyceryl Stearate, Cetyl Alcohol, Dimethicone, Phenoxyethanol, Ethylhexylglycerin, Azadirachta indica (Neem), Tetrasodium EDTA, Citric Acid. A very light daily moisturizer. Ingredients; Aloe barbadensis (Aloe) Juice, Rosa damascena (Rose) Distillate, Shea Butter (Naturally Refined), Emulsifying Wax, Vegetable Glycerin, Witch Hazel- Hamamelis virginiana (Witch Hazel), Cocoa Butter (Natural), Tocopherol (Vitamin E), Phenoxyethanol, Mangifera indica (Mango) Butter, Citrus sinensis (Sweet Orange) Essential Oil, Xanthan Gum (Polysaccharide Gum), Lavandula officinalis (Lavender) Essential Oil, Palm Stearic Acid, Salix nigra (Black Willow Bark) Extract, Rosmarinus officinalis (Rosemary) Oleoresin, Azadirachta indica (Neem) Oil, Tetrasodium EDTA, Citric Acid.